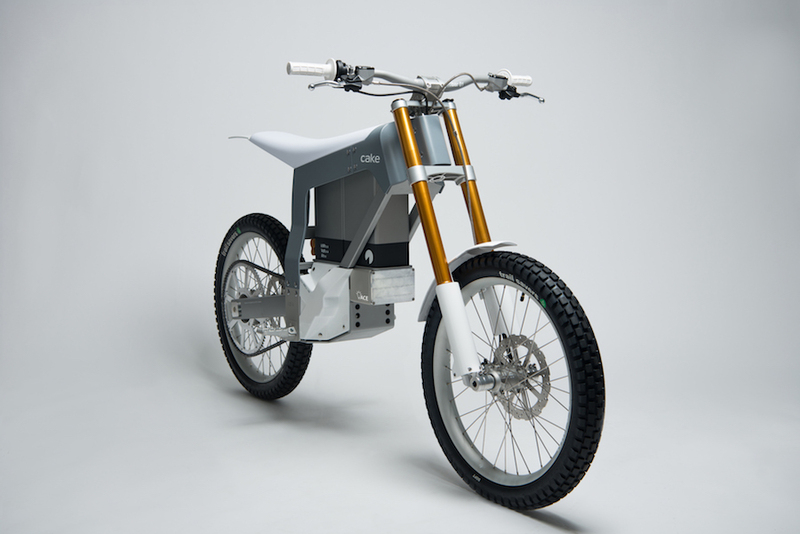 CAKE isn’t a familiar name in motorcycling but the Swedish firm has just revealed a cross between a mountain bike and an electric motocrosser, called the KALK. 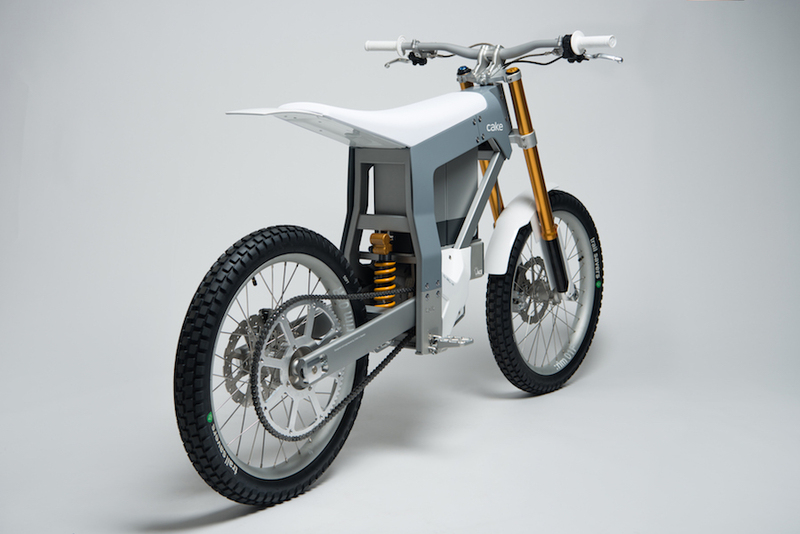 Designed purely as a leisure machine, with no competition focus, it’s a fully electric bike that weighs only 70kg, manages 80km/h flat out and can run for 80km on a full battery charge. Perfect for hurtling down trails while avoiding the noise of a petrol-powered enduro. the suspension to suit its part-bicycle, part-motocrosser characteristics. It’s all high-end stuff. The suspension offers high- and low-speed compression damping adjustment, plus rebound, while the electronics allow three riding modes and give tweakable engine braking from the electric motor. The throttle is the only additional riding control over a pedal-powered bicycle; there’s no clutch or gears, since the electric motor directly drives the rear wheel. The front and rear brakes – 220mm discs at each end, with four-pot calipers – are both operated from bar-mounted levers, as on a pushbike. The minimalist bodywork is all carbon fibre, at least on the first 50 special-edition machines, which of course, come at a price. CAKE is asking €14,000 ($21,600) for each of those first 50 bikes, which will be numbered and signed by its makers to mark the company’s first creation. 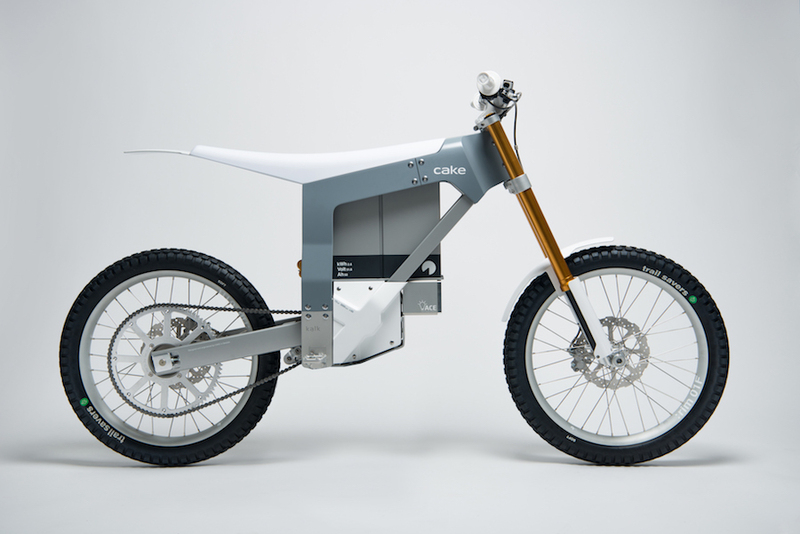 Orders are being accepted now, with a €1000 ($1500) deposit, at www.ridecake.com, with deliveries to start in June. The full-production version is expected to be available later this year. In Australia? No word yet.